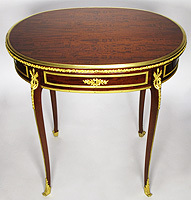 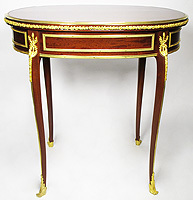 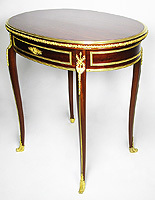 A Fine French 19th Century Louis XV Style Ormolu Mounted Mahogany Single-Drawer Oval Gueridon Table Attributed to Paul Sormani (1817-1877). 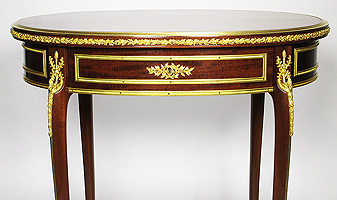 The lockpate einscribed: SORMANI - PARIS, 134 Bd Haussmann. 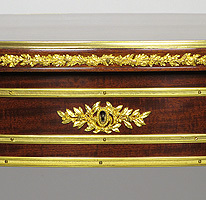 Circa: Paris, Third quarter of 19th century. 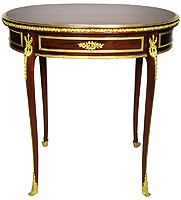 Paul Sormani (1817-1877) Born in Venice, Paul Sormani set up in Paris in the middle of the 19th century. 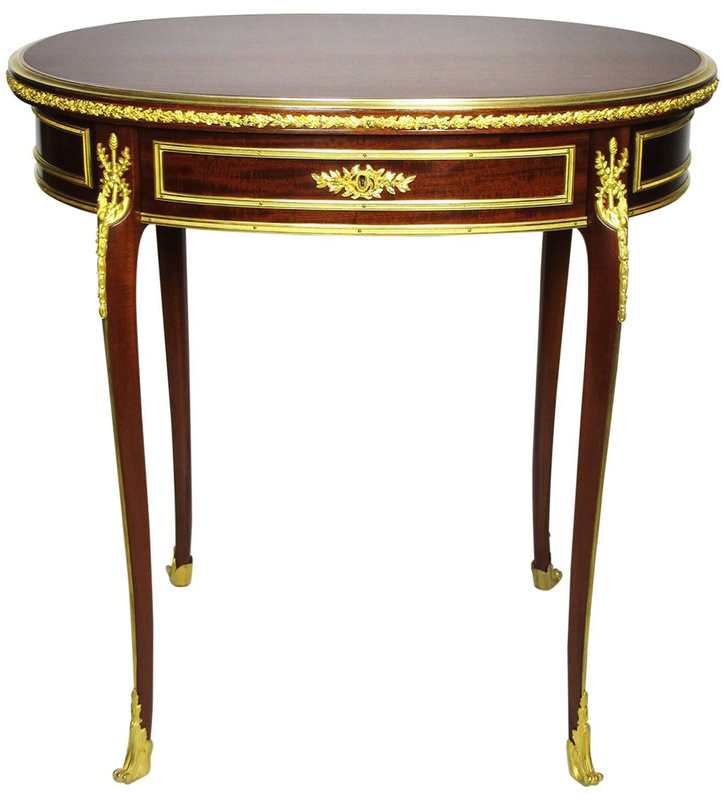 He specialized in creating furniture and works of art and was known for his high quality reproductions of Louis XV and XVI furniture with finely chased gilt-bronze mounts as well as Boulle style pieces. 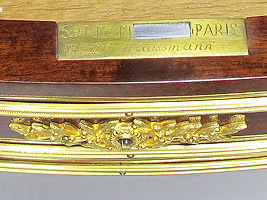 Sormani usually engraved the lock-plates of some of his pieces, in some cases, in some cases, the bronze castings bear the initials "PS" on the reverse.